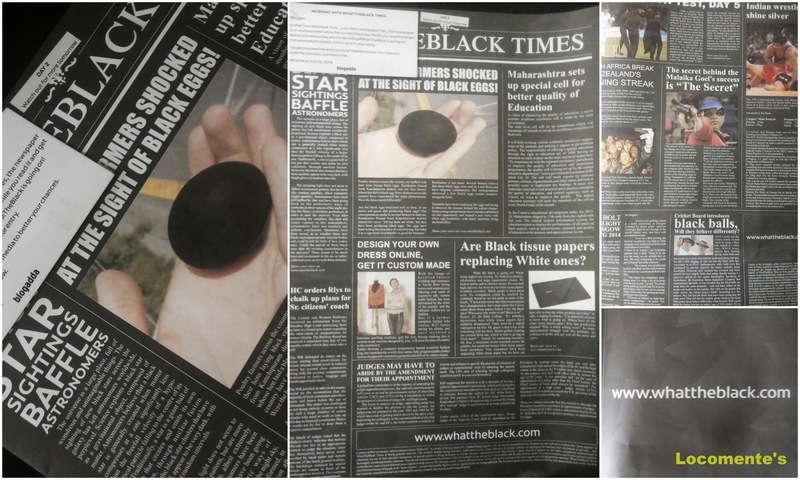 I went to the dispatch section and they promptly handed over a newspaper in black, words written in white! Didn’t I guess that the black egg would be a chocolate? Then, what is this? I really don’t know how to correlate and corroborate. I hate suspense… Yet very excited!